Modern international audiences demand higher levels of entertainment experiences. If the technology does not exist, Laservision invents it. Laservision’s unwavering commitment to the development of innovative technologies and experiences is the cornerstone of our success. With Government approved Research and Development (R&D) facilities in both Singapore and Australia, staffed with Mega~Media specialists from around the globe, Laservision can truly offer their clients the most cutting-edge technological solutions. Laservision’s latest generation multi-media server, the Digital Data Pump Series III (DDP III) delivers previously unobtainable levels of integration and performance for use in multi-media spectaculars. The DDP III constitutes a mass control system and is used in conjunction with Laservision’s Fibre-Fed Media Servers to facilitate the precise control and distribution of massive volumes of data across a performance arena for a city scale spectacular. DDP III provides seamless integration of performance media including laser, lighting, pyrotechnics, Water Screens, fountains, HD video, professional quality audio and more. The DDP III gives greater control over performance infrastructure by delivering simpler and more powerful configuration and management tools, as well as automated exception reporting. DDP III is designed to be used with Laservision’s Media Manager III software which is a highly productive and integrated authoring and sequencing system. 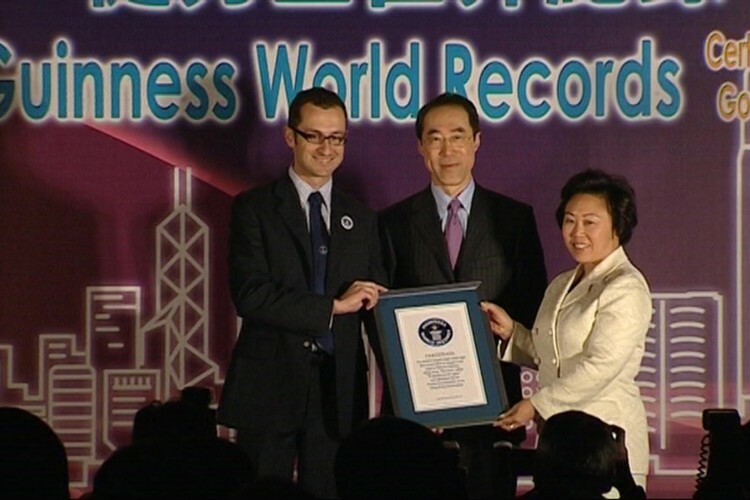 DDP III, the Hong Kong Government’s chosen control solution, is responsible for delivering the ‘Symphony of Lights’ – the world’s “Largest Permanent Light and Sound Show” as awarded by Guinness World Records. The Media Manager software is Laservision’s flagship software for computer-based media production. Combining elements of data management, timeline editing, real-time preview and rehearsal, and on-demand playback triggering, the application suite brings together complete management capability for ten different media types under a single unified interface. Together with the Digital Data Pump Series III, Media Manager provides the ultimate professional tool for creating, sequencing, replaying and triggering multi-media events of any scale. 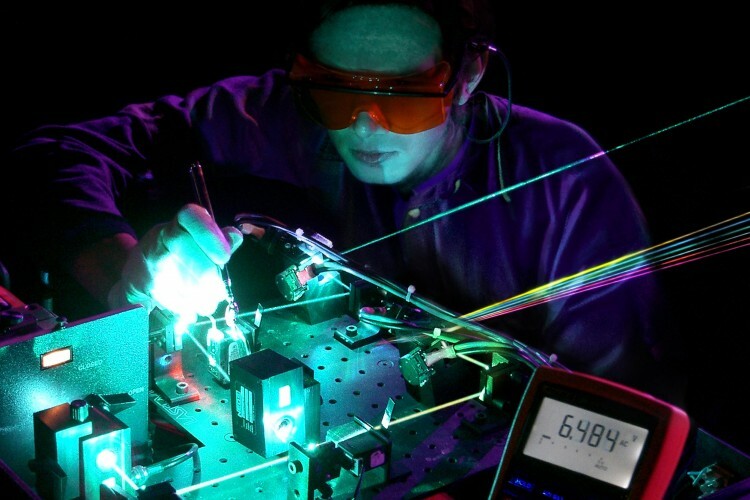 Lasers – the strongest light source known to man. Laser shows via high intensity beam effects reach out over an audience and draw them in. Laser Show audience members are not just spectators, but an integral part of the experience. Laser light shows and effects can be used as stand-alone entertainment, synchronised with music, or as part of complex multimedia entertainment. Laser Shows are highly effective in punctuating presentations and special events; adding drama and impact to openings, Product reveals or grand finales. Laservision has been awarded numerous accolades for Laser Show applications and continues to forge ahead as a dominant world player. A Laservision Laser Tunnel is a powerful tool, for any special events production. These tunnels are capable of being precisely themed as “grand entrances” to create the illusion of an endless laser time tunnel. The three-dimensional Laser Tunnel is invaluable in pre-conditioning an audience for the commencement of a special event. Audiences become electric and alive! Laser Billboarding is made possible by harnessing the long range properties of laser light with our precision technology hardware and software. 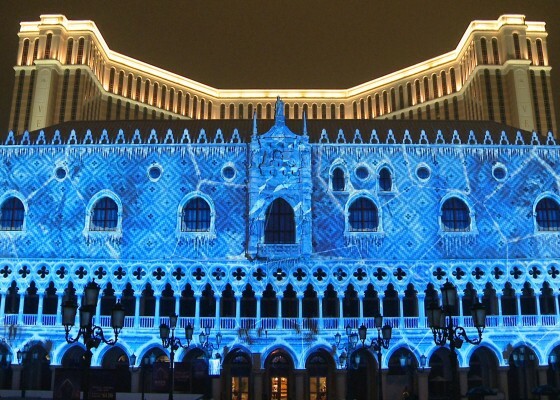 Previously unobtainable and exotic sites can be turned into vast animated Laser Billboards. Large buildings, sides of mountains and even entire stadiums have been turned into canvases for Laser Billboard projections, providing Laservision’s clients with an outdoor promotions medium of the highest possible impact. The use of theatrical and architectural lighting is often the fundamental part of a modern spectacular, special event, or permanent installation. Architectural Lighting design has become even more sophisticated both in effects and the level of programming required. Laservision’s technical approach allows for creative freedom, not only for the optimisation of lighting effects, but the integration of the lighting program with all of the other media employed at any one moment. 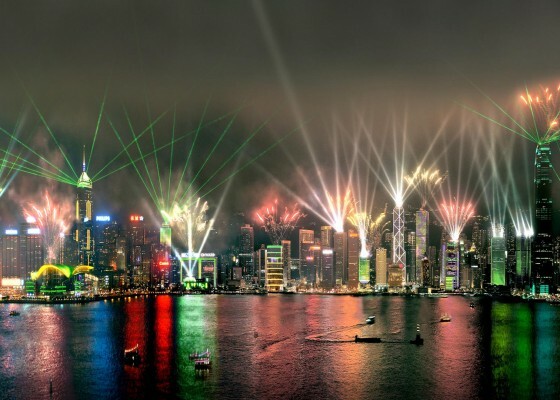 One of Laservision’s most notable lighting attractions is Hong Kong’s ‘Symphony of Lights’ which has incorporated 45 of Hong Kong’s prominent buildings. High Definition and 4K Ultra Digital video are the key tools used in both video wrapping and large scale image projection. These photo-realistic and motion picture technologies become even more powerful when synergistically integrated into a large scale multimedia presentation. Film and video may be seamlessly combined with laser graphics, light and sound. Massive projections make use of Aqua~Screens, vast rear projection screens, buildings, landscapes and other natural or manmade surfaces. Building facades can be transformed into dynamic, three dimensional (3D) Architectural Video Wrapping attractions spanning thousands of square meters in surface area. 3D Architectural Video Wrapping combined with Special FX, creates a unique and lasting impression for every special event or permanent attraction. Laservision is the world leader in the design and use of Water Screen shows and attractions. Up to 2000 sq metres (water) in area, screens of many different sizes can be created for both outdoor and indoor applications. A water screen provides a unique canvas for a variety of projected media. Motion pictures, digital video projection, laser graphics and large format slide projection may be used to produce vast and seemingly holographic imagery. Water screens vary in size from 5m to 30m tall and 10m to 60m wide. Water screens may be installed in natural and manmade environments. Laservision is the only company to have designed and installed a completely floating Water screen show, including projection barges, in tidal salt water. Water Fountains provide a stunning and mesmerising centrepiece for waterfront sites. Choreographed to dance with music, or as part of a large Mega~Media Attraction, the addition of this technology will ensure the crowds are drawn in. Laservision features a large range of Water Fountain technologies including parabolic jets propelling water up to heights of 50m, 360 degree thruster animated fountains reaching up to 40m and various ranges of fixed and moving fountains up to 28m in height. Control of complex individually controlled fountain streams, pumps and associated technology through our unique proprietary digital show control system enables a level of detail in integration previously unachievable. Lateral thought in our Water Fountain design philosophy, provides a great level of surprise and differentiation. The combination of the two elements produces what we call our Liquid~Logic suite of products. Precisely choreographed Pyrotechnics (fireworks) can add extraordinary impact to a Laservision presentation or spectacular. Pyrotechnics can be employed on an immense or intimate scale. When synchronised with other technologies such as Lasers, Surround Sound, Fountains or Aqua~Screens, the effect is both synergistic and immersive, the overall effect being far greater than the sum of its parts. Pyrotechnical technologies now include zero fallout options for use over environmentally protected zones and waterways. Laservision is well versed in government permissions and requirements around the world including the use of Pyrotechnics in close proximity to flight paths and airports. Guaranteed to provide the ‘WOW-factor!’, Laservision’s Flame FX can be deployed on land or water. A variety of technologies allows for safe and controlled performances in public spaces. Laservision’s Flame FX are able to propel flames up to 15m tall and provide a number of effects including slender flames and fireballs. Laservision builds on the Mega Media experience with a variety of Special FX. Special FX technologies can help to bring a story to life or simply amaze and delight audiences. The suite of Special FX technologies offered are ever growing to meet the creative outcomes of each new attraction. Some examples include bubble, smoke, fog, mist, holographic and strobe effects. Life’s experiences are all around us, we live in a three dimensional world. Laservision’s design philosophy with regards to sound is that it too, should be three dimensional. In order to strengthen any entertainment experience, we create dynamic and immersive sound imaging, exciting and surprising audiences by audibly reinforcing their visual experience.